The majority of elderly assisted care or nursing home residents are usually either unable or unwilling to travel to obtain routine dental care. Therefore, their oral health needs are neglected thereby resulting in an increase in oral illness, such as periodontal disease, tooth decay, oral infection, pain and discomfort. Any of these conditions can limit the overall quality of life experienced by these patients, but also create or advance general body sickness and disease. It is imperative regular and proper oral health care be provided to residents at the facilities. The presence of oral disease, or lack of oral health, has a substantial impact on the overall wellness of a patient and is perhaps more impactful on the elderly due to their more fragile state of being. Chronic inflammation results in systemic diseases such as atherosclerosis, heart disease, stroke, diabetes, cancer and kidney disease. Over 85% of mature adults have chronic inflammation caused by aggressive bacteria in diseased periodontium or gum tissue, S. mutans, S. sanguis, P. gingivalis, Actinobacillus actinomycetemcomitans. Even patients without their own natural teeth are at risk for certain oral infections without regular dental examinations. These infections as well can produce systemic problems. 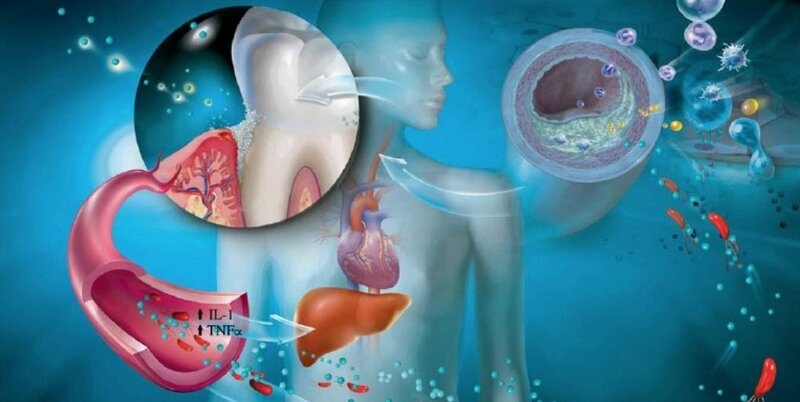 The level of oral inflammation normally found in those patients with oral disease is often adequate to speed advancement of heart, kidney, liver, endocrine, brain and bone conditions to a deadly state. The intention of Mobile Dental Solutions is to enhance oral wellness through routine dental care and work to reduce the risk of overall systemic disease. The effective reduction of oral disease can reduce the extent and management costs of systemic or general body diseases.